What Guinea Pig Noises Mean – I was surprised to learn that guinea pigs have a wide array of noises and sounds they make to communicate. My daughter’s guinea pig (Snuggles) is quite vocal. My daughter received a guinea pig for Christmas from Santa a few years ago. It is our first guinea pig, and we have never been around one before now. The guinea pig makes all kinds of noises and seems shy, so we never know if she is happy, afraid, upset, etc. We wanted to learn her guinea pig noises so that we know what to do and respond appropriately. I did some research and came up with a couple of very informative sites done by some seasoned guinea pig owners. This first site has actual audio of guinea pig noises. You can listen to guinea pig sounds, and then read the descriptions for what the sounds mean. One curious thing our guinea pig does that I still can’t figure out is she chirps very loudly, almost like a chirping bird. We can’t decide if our guinea pig is extremely happy or extremely upset when she chirps. It’s very rare when she does chirp so it is difficult to tell. When she does her “bird chirps” very loudly, it’s usually in the middle of the night. I swear it sounds like a bird is loose in our house when our guinea pig chirps. Our guinea pig never seems to wildly frantic when she makes these noises so I don’t think she’s under distress – even though it sure sounds like it. Other than the chirps, our guinea pig’s common noises like purring and squeaking are easier to decipher. 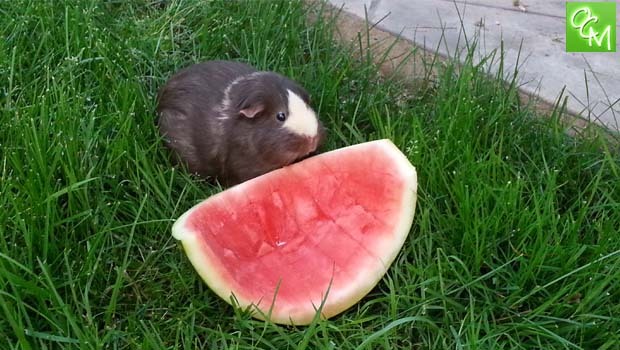 I never knew guinea pigs had such vibrant personalities! Do you know what some guinea pig noises mean?